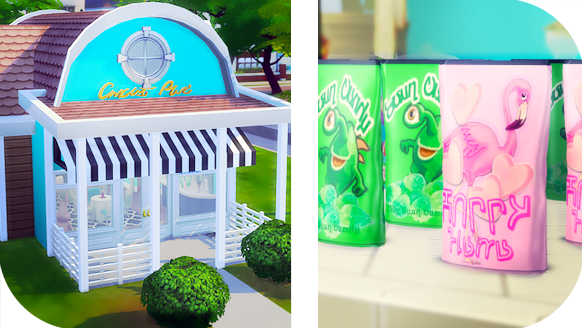 XUrbanSimsX Official Website: THE SIMS 4 // CANDY STORE — FULLY FUNCTIONAL + NAME THIS BUILD! THE SIMS 4 // CANDY STORE — FULLY FUNCTIONAL + NAME THIS BUILD! Welcome to the CANDY SHOP! Inspired by Icemunmuns functional candy dispenser, I used it in conjunction with Budgie2Budgies awesome clutter stuff to create the cute CANDY SHOP perfect for a sweet date night or maybe a birthday party? Thanks for sharing excellent information. Your web-site is so cool. I’m impressed by the details that you have on this web site. It reveals how nicely you understand this subject. Bookmarked this website page, will come back for more articles. You have a very good and informative blog that contain plenty of information about different things. I found some good resources to the websites here.I am a writer at custom essay writing service,if you have any doubt n writing essays,please visit here.